Queen Silvia of Sweden carried out the opening of a new clinic in Lilla Erstagarden hospice which works for children and young people requiring medical care. 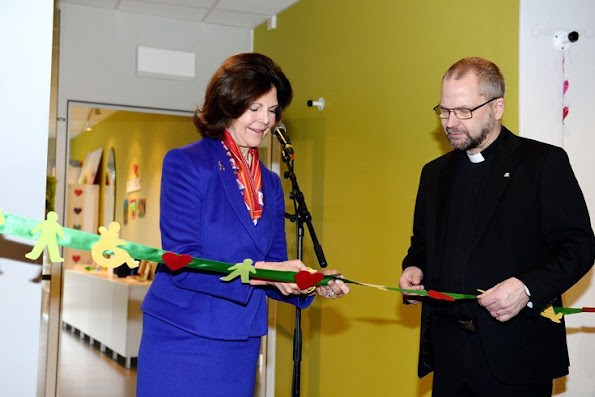 Lilla Erstagarden opened in 2010 and it is the first child and youth hospice of Scandinavia. 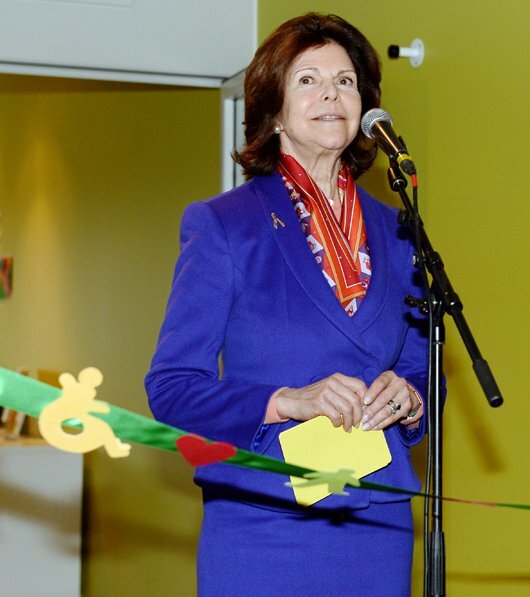 Queen Silvia gave a speech to the attendees of opening of the new clinic. The Queen is the patron of Ersta Diakonia Foundation. She's really nice and looks good in her suit. My compatriot!! Silvia has a nice figure, but her hair is way too dark. She looks very pale in these photos - no lipstick, etc. My opinion. The suit maybe nice for someone at her age. Not my cup of tea and that scarf not good. Don't have a problem with her hair color, but think she would look good with a few color lighter. 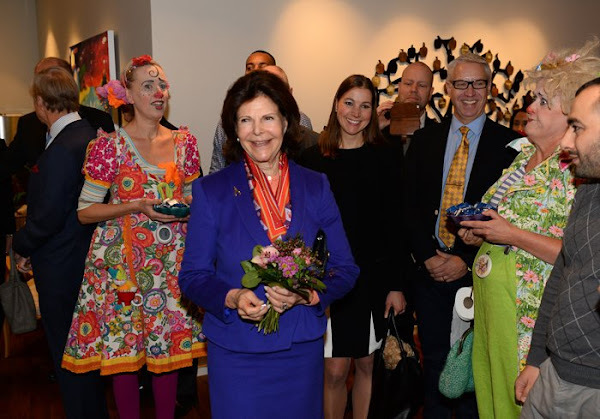 Queen Silvia looks to be in good shape but she chooses unflattering colors for clothes and hair. All need 'softening.' Also her hair is such a huge pile on her head it looks like a heavy fur hat. I just wish her the best in all, but she needs some help. Sigh, i'm so tired of all those botox faces, it doesn't do good to anybody, makes everybody ugly. Look at Silva's mouth, how can you like that? I realy do not understand women who use it. 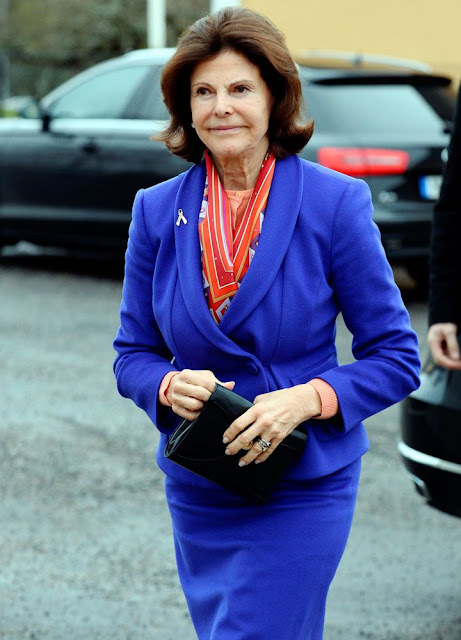 I think Queen Silvia is a nice woman but i always start to respect woman a bit less who do not have the guts to grow old gracefully. How old are you to say that? I am 48 and I agree with Iris. Botox and fillers don't look good on any of the royals we know use it or any one else either. 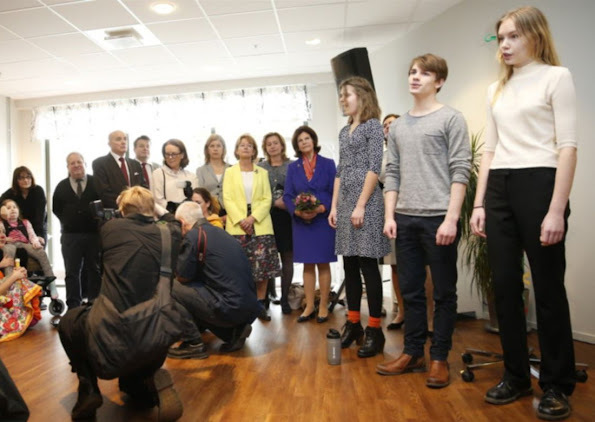 Just see normal faces like Elisabeth, Sonja, Maxima, Victoria, Mette so much better. Full mimic, wrinkles and laugh lines. Great!! And by the way, it doesn't matter how old i am in this case, i still can see if i like something or not. @AnonymousFebruary 14, 2016 at 3:11 PM you're so right! @Anonymous February 14, 2016 at 8:46 PM - I am 69 and have no Botox and do not color my hair - and I'm thin. Queen Elizabeth has aged naturally, highlights her gray hair, and looks wonderful. 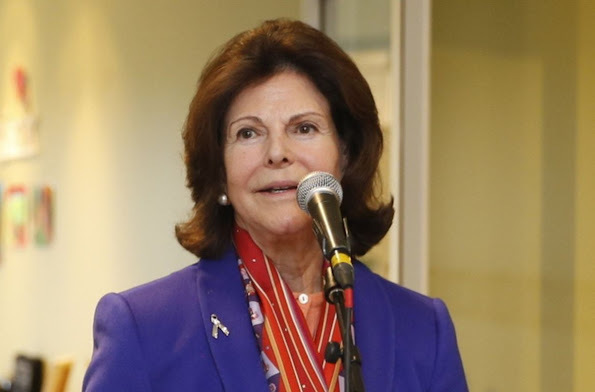 Queen Silvia has had too much work done to her face, and her hair is too dark (we "lighten up" as we age, she should go softer, but she is part Brazilian). And she can't hide her neck and hands. Yes, Iris, we are allowed our opinions. Come on if you are 70, who on earth whant to look like a smooth, stiff teenager in their face?? I like Silvia but for years I have thought that she was overdoing it on the cosmetic surgery. It is such an unnatural look. This is not just Botox, she has had a lot of work done and it has not been a very good job. I can not see doing all that work and looking like a character. She was such a pretty woman and I am sure that she would have aged beautifully. Silvia wa looking good a long time ago,now the face is totally destroied by plastic sugery...and a very bad ones too. Se and learn how bad it can become!